We looked at the top 12 Cordless Vacuums and dug through the reviews from 164 of the most popular review sites including Consumer Reports, Good Housekeeping, Tech Gear Lab, New York Times Wirecutter, Top Ten Reviews, BestReviews and more. The result is a ranking of the best Cordless Vacuums. Our experts reviewed the top 12 Cordless Vacuums and also dug through the reviews from 164 of the most popular review sites including Consumer Reports, Good Housekeeping, Tech Gear Lab, New York Times Wirecutter, Top Ten Reviews, BestReviews and more. The result is a ranking of the best of the best Cordless Vacuums. The Shark Ionflex Duoclean is powerful, efficient and flexible. Plus, it's very versatile and easy to switch between the different attachments and tools. DWYM Home Experts plus Trusted Reviews, Tech Gear Lab, Top Ten Reviews, Consumer Reports, New York Times Wirecutter, Modern Castle and 3 more. Along with user reviews from Best Buy, Amazon, Target and Home Depot.
" There’s plenty of suction power on even the lower power mode and all tools are well designed." "The Shark IONFlex is a bit on the pricey side, but it is the best. However, there are definitely better options out there if you are looking to maximize the best bang for the buck." DWYM Home Experts plus CNET, Nerd Wallet, Top Ten Reviews, Tech Gear Lab, Vacuum Wizard, Consumer Reports and 4 more. Along with user reviews from Amazon, Best Buy and Walmart.
" Since it also costs significantly less than comparable performers, its value is tough to ignore." "Didn’t work on pet hair"
The Shark Navigator Freestyle is quiet and comes with a large dust cup, so you can clean anytime and pick up tons of dirt before emptying the vacuum out. DWYM Home Experts plus Nerd Wallet, Top Ten Reviews, Tech Gear Lab, Consumer Reports, Modern Castle, BestReviews and 2 more. Along with user reviews from Amazon, Walmart and Target.
" This sleek stick vac is perfect for cleaning during baby’s naptime because its gentle sound won’t wake anyone up." "It’s bulky. The vacuum weighs twice as much as sleeker vacuums." The Dyson V8 received glowing reviews for its long battery life — a total of 40 minutes — and its suction capability on carpet, hardwoods and when dealing with pet hair. The only downside people can find is the steep price — but you knew about that part already. DWYM Home Experts plus Consumer Reports, Digital Trends, CNET, Trusted Reviews, Best Products, New York Times Wirecutter and 1 more. Along with user reviews from Amazon, Walmart, Best Buy and Home Depot.
" Dyson V8 is one pricey cordless. It’s also extremely lightweight and pretty powerful for a cordless." "Dyson V8 is one pricey cordless"
We identified the majority of the cordless vacuums available to purchase. 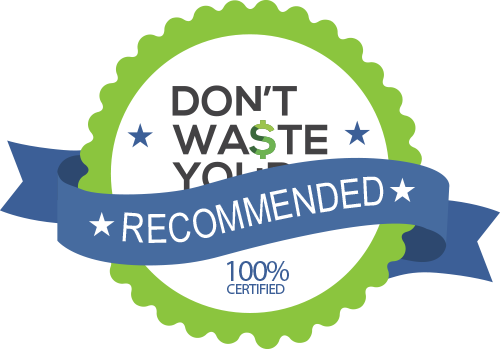 Reviews from our DWYM category experts and analysis of some of the most respected sources including: Consumer Reports, Good Housekeeping, Tech Gear Lab, New York Times Wirecutter, Top Ten Reviews. We also incorporate user reviews from the leading retailers including Walmart, Amazon, Target, Home Depot, Bed Bath & Beyond, Best Buy and 3 others. There’s plenty of suction power on even the lower power mode and all tools are well designed. This cordless vacuum has swappable batteries — a fantastic feature that allows you to customize your battery life to match your cleaning needs. It is great for quick clean-ups. Better at getting crumbs off bare floors and pet hair off furniture. It's a vacuums that easily adapt to different spaces. It’s a little unwieldy in the hand, heavy to reach high cobwebs, and the main floorhead tends to pull forward. The Shark IONFlex is a bit on the pricey side, but it is the best. However, there are definitely better options out there if you are looking to maximize the best bang for the buck. The IONFlex is a little heavy and needs to be emptied often. It's on the heavier side of stick vacuums and does not have a brush on/off switch. This sleek stick vac is perfect for cleaning during baby’s naptime because its gentle sound won’t wake anyone up. The dust cup is one of the largest of all cordless stick vacuums. It is good at cleaning hard floors. Shark's cordless stick vac was best in our tests at carpet-surface cleaning, and it was equally effective at picking up pet hair. The 14.4-volt nickel-metal-hydride battery ran for 17 minutes in our tests and took 6 hours to recharge. With the dust bin being more centrally located, some users find this style to feel lighter in-hand. The battery last longer than some other contenders. There was also grumbling about the machine’s battery life. It’s bulky. The vacuum weighs twice as much as sleeker vacuums. Not terribly convenient, more difficult to use. No brusher or other attachments. Cleaning the house can be a real drag, especially because you’ve likely got much better things to do with your free time. But gone are the frustrating days of tripping over your vacuum cord or trying to maneuver the vacuum in one hand while keeping ahold of the cord in another. Thanks to a little ingenuity, you can now buy a cordless vacuum, which means you never have to worry about the cord getting tangled or sucked into the vacuum again (nor do you have to worry about your new puppy pretending the vacuum cord is a chew toy!). Cordless vacuums also make it so that you never have to stop cleaning to unplug the cord, then replug it into a closer wall outlet, which can be super frustrating if you’re short on time and just need to get the job done in a flash. Most cordless vacuum models attach to a docking station for charging. Then, when you’re ready to clean your floors, you simply remove the vacuum from the docking station and start vacuuming. The Shark Ionflex Duoclean, for example, has a removable and rechargeable lithium-ion battery that lasts about 30 minutes before you’ll need to recharge it again, which many people say is enough time to vacuum several rooms in your home, depending on their size. If you’ve never seen a cordless vacuum up close, you’ll notice that they look a bit different than a standard vacuum. Many of these vacuums, like the Dyson V8 and Dyson V7 models, for example, are long and slender with a dirt bin and a motorhead on top. Others, like the Shark Navigator Freestyle, look very similar to a traditional vacuum cleaner with a cord. Some cordless vacuums can also easily become handheld vacuums by simply removing the motorhead from the vacuum stick, which makes for a quick and painless transition. Some cordless vacuums, like the Shark Ionflex Duoclean, have a rotating or swivel head that makes it easy to clean tough corners or get into tight spots, such as under the couch or the bed. Cordless vacuums tend to be lighter and smaller than other vacuums, which makes them super useful if you’re short on time and just need to zip around to clean before guests arrive. They’re also helpful if you can’t lift heavy objects or your home has lots of stairs — no more lugging a heavy vacuum around. Cordless vacuums also tend to take up less space than other vacuums, so they’re perfect for smaller spaces such as apartments and condos. You can thank NASA for your cordless vacuum — yes, NASA. The reason we have cordless vacuums in our homes today is because NASA needed a company to design a special drill so that Apollo astronauts could extract core samples from the moon in the early 1960s. Since they were on the moon with no power source, the drill had to be cordless, lightweight and small. NASA asked The Black & Decker Manufacturing Company to design something and the company pulled through by developing a battery-powered technology, which was the precursor to today’s modern cordless power tools and vacuums. Thanks NASA! One of the key factors you’ll want to consider when purchasing a cordless vacuum is battery life, since this will determine how long you can run your cordless vacuum before it needs to be charged. Cordless vacuums can run, on average, between 15 and 45 minutes between charges, depending on the type of vacuum and the setting you select. You won’t be able to use your cordless vacuum for very long if you select the highest-power mode, so keep that in mind when you start cleaning. The Dyson V8, for example, can run for eight to 40 minutes, depending on which mode you’re using to clean your house. Cordless vacuums typically use one of three types of batteries: lithium-ion, nickel-metal hydride and nickel-cadmium. Each battery type has its own pros and cons, and they all have varying levels of power, shelf life, replacement cost and charge capacity. Lithium-ion batteries, for instance, tend to be more expensive than nickel-cadmium batteries and you may have to be careful not to overcharge them. Generally speaking, nickel-cadmium batteries tend to need to be replaced more often than the other types, while nickel-metal hydride batteries are more expensive but they hold a lot of power from each charge. Typically, your battery will not be covered under a limited warranty if it fails because of normal wear and tear. Over time, you can likely expect to have to replace the battery for your cordless vacuum. You’ll also want to consider the weight of the vacuum. If being lightweight is important to you, you’ll want to take a look at the product specs for each cordless vacuum. They typically range from 2 to 7 pounds. The Dyson V7, for example, weighs just 5.3 pounds, while the Shark Navigator Freestyle weighs 7.5 pounds. Even so, this may be a lot lighter than the regular vacuum you’re used to. Most cordless vacuums come with washable filters, which means you’ll need to keep an eye on how dirty this filter becomes and clean it periodically to keep the vacuum running properly. Another factor when purchasing a cordless vacuum is whether it comes with a warranty, as well as what types of situations are covered by the warranty. The Shark Navigator Freestyle comes with a one-year limited warranty that covers defects in material and workmanship during normal household use. The Dyson V8 comes with a two-year limited warranty for defects in material and workmanship for normal household use. These types of limited warranties typically do not cover damage caused by normal wear and tear, misuse or aging batteries. Cordless vacuums come with an array of accessories and attachments. Some of the most common accessories are crevice cleaners, mini brushes and extension heads. The Shark Ionflex Duoclean, for examples, comes with a duster crevice tool, a dusting brush, a wide upholstery tool, an anti-allergen dust brush, a battery and a charger. For the Cordless Vacuum category, we analyzed 164 of the most popular reviews including reviews from Consumer Reports, Good Housekeeping, Tech Gear Lab, New York Times Wirecutter, Top Ten Reviews, BestReviews and more. The result is a ranking of the best Cordless Vacuums.